CAN AMERICA’S POLITICAL PARTIES BE SAVED? America’s political parties are broken and they need fixing. 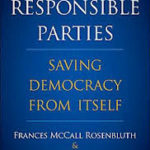 So says the authors of a provocative new book, Ian Shapiro and Frances McCall Rosenbluth in their new thought-provoking book RESPONSIBLE PARTIES: SAVING DEMOCRACY FROM ITSELF. Ian Shapiro joins Halli, along with Halli’s partner in politics veteran White House correspondent Matthew Cooper join Halli this week on The Halli Casser-Jayne Show, the podcast posted at Halli Casser-Jayne dot com. In our first half-hour, Halli and Matt slice and dice the week’s political news. 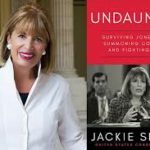 Beginning with Trump’s government shutdown, now the longest in history, exploring the news that the FBI was investigating President Trump as a possible Russian asset before Robert Mueller was appointed Special Counsel, and the even more startling news that President Donald Trump went to “extraordinary lengths” to keep details from his conversations with Russian President Vladimir Putin secret – even from officials within his own administration. And that’s just where we begin. 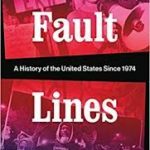 In the second half-hour, Halli interviews Ian Shapiro, the co-author of the fascinating new book RESPONSIBLE PARTIES: SAVING DEMOCRACY FROM ITSELF. 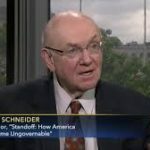 In their book Yale electoral expert Frances Rosenbluth and Yale political theorist Ian Shapiro dissect the political party system to argue that devolving power to the grass roots is not the solution; it is part of the problem. And that efforts to decentralize political decision-making have made governments and especially political parties less effective and less able to address constituent concerns. They argue that to revive confidence in governance, we must restore power to political parties, the core institutions of representative democracy. 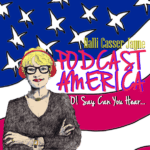 America’s political parties, Donald Trumps as Russian asset, did Trump purposely destroy all evidence of his private talks with Vladimir Putin, is Mitch McConnell alive…those topics and more when journalists Halli Casser-Jayne and Matthew Cooper, and Yale political theorist Ian Shapiro talk politics on The Halli Casser-Jayne Show, the podcast posted at Halli Casser-Jayne dot com.